Here’s a little something that will improve the Apple Watch. 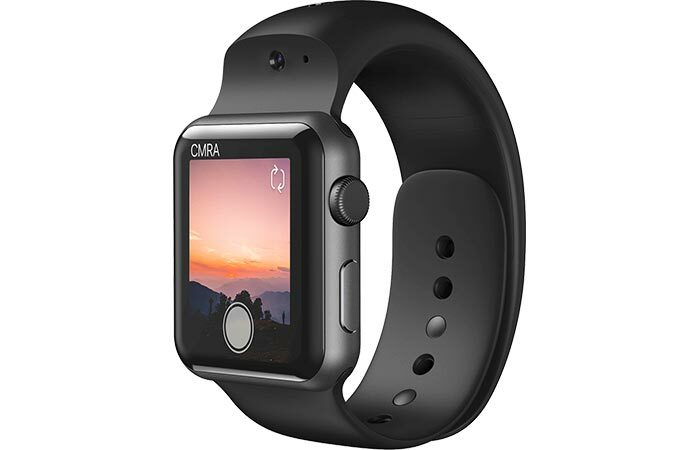 CMRA Camera Band allows you to take HD photos and videos with your watch by featuring not just one, but two cameras. This smart band was created by two guys- one is Ari Roisman, the founder of video messaging company Glide and Shawn Grening, one of the people who developed the Apple Watch. 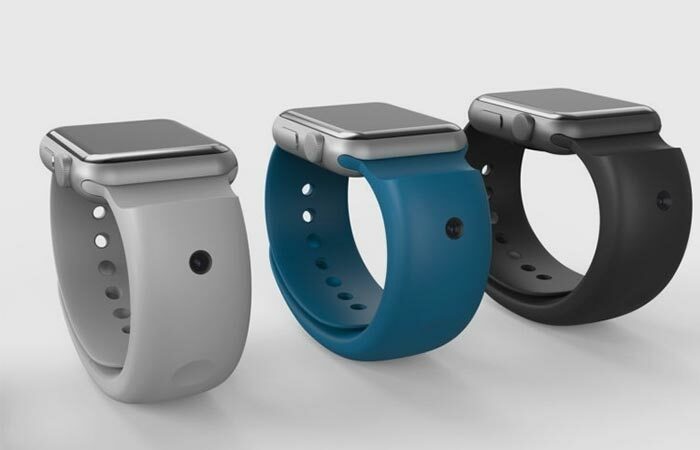 The band has an outward-facing 8MP camera and a self-facing 2MP Sony camera for selfies. It also provides some cool options for taking a perfect shot like tilt balancing, lens correction, noise reduction and pixel optimization. With having just one button, CMRA Camera Band is very simple to use. To take a photo all you have to do is tap the button. If you press it, it will start recording. Finally, a double-tap switches between cameras. CMRA Camera Band features two HD cameras. You can sync the content with your photo gallery. The band is compatible with all Apple Watches and iPhones. This also means you can store, edit and publish the content you take by using different apps. There’s an LED indicator that will light while you’re using it. 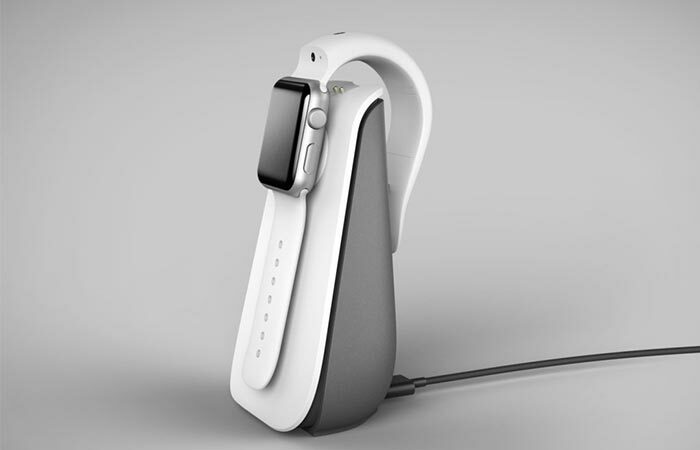 When you need to charge it, the stand will charge both the band and the watch. There’s also a battery pack that can hold 2 full charges. 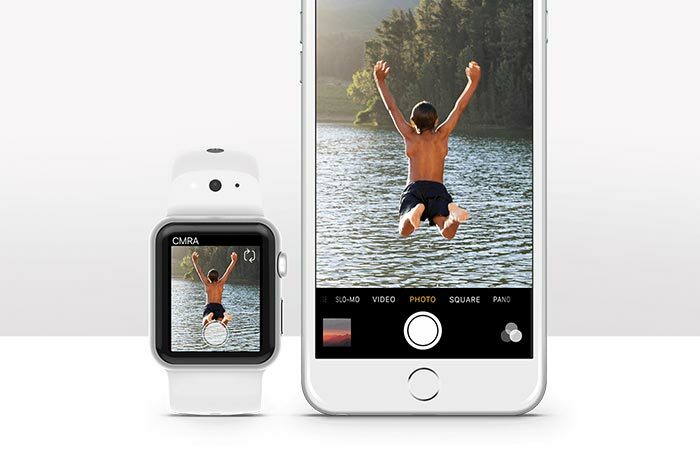 As for the battery life, it allows you to take 100s of photos or around 30 minutes of videos. The charger stand charges the band and the watch. You can get the band in several colors.